It has never been so easy to have a career in music: the barriers to entry have never been lower, the access to fans—and the ways to find fans—have never been more straightforward, and the options to generate income have never been more plentiful. So why isn’t everyone who makes music a multi-millionaire? The difference between success and failure—the factor determining whether a musician is able to earn a living making music—is the proactive development of a strategy and the execution of that strategy. Create a range of products (which may include recordings, live shows, and merchandise). Connect with interested people and convert those people into fans—then maintain and strengthen a continuing relationship with your fans. Generate income—directly and indirectly—from your fan base by giving them what they want. Continue to build the fan base as you expand your product range. The hard part is developing a strategy that’s right for you and then executing it. Jumpstart Your Music Career looks at how you can implement each of those steps to build and sustain a successful career. It is the book that should be on every musician’s bookshelf. 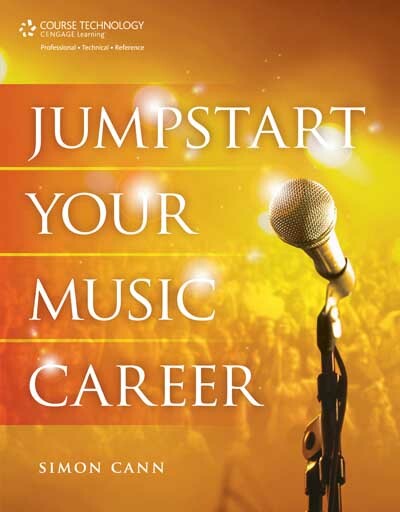 Jumpstart Your Music Career is available from leading book retailers including Amazon.